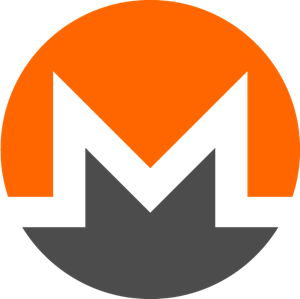 In just a few years since its creation in 2014, Monero (XMR) has risen to become one of the most widely used cryptocurrencies today. Given how saturated the market is – there are over 1000 different cryptos available according to CoinMarketCap – its success is a testament to the numerous strengths it has as a payment method. While Monero's creator is unknown, it's lead developer Riccardo Spagni is high profile cryptocurrency figure. So what actually is Monero, and why is it so acclaimed in the crypto world? Put simply, Monero is an open-source, decentralised cryptocurrency that has a strong focus on user privacy. Being decentralised means that it is free from an authoritative body that facilitates transactions, and instead relies on an equal network of users to do so. This removes the potential for corruptive or conflicting influences that are commonly present in centralised, fiat-based financial systems. When you send funds via Monero, the recipient cannot identify your identity unless you tell them. Public observers of the ledger (a record of all transactions that have occurred) cannot see the value of transfers made, nor where they are sent to. This is courtesy of the state-of-the-art blockchain obfuscation techniques that the crypto uses on its own ledger. While this does mean that Monero has been used for illicit activity in the past, having an untraceable, truly anonymous method of payment is undoubtedly valuable in an increasingly transparent world where user data is so commonly leveraged. Unlike Bitcoin which has a public ledger – and many other cryptos which are pitched as being a ‘privacy coin’ but are not truly private – Monero’s well-developed cryptographic system ensures that it delivers on its promises. It is this focus on user privacy that has made Monero such a success story in the crypto world. The fact that its market value has increased by more than 10,000% since it began trading proves how much traction it has gained in just a few years. Fortunately, getting your hands on Monero and using it to transfer funds is actually very straightforward nowadays. There’s just a couple of things you need in order to get involved. First: a digital wallet. This allows you to send, receive and store your cryptocurrency. You can download your own from Monero’s official site here, or alternatively use other community-trusted wallets such as Cake Wallet, Monerujo or MyMonero. With your wallet created, all that’s left is to find an exchange where you can purchase Monero. The exchanges and purchasing methods available to you depend upon your location, but some of the largest and most-trusted include Kraken, Bitfinex and Bittrex. Part of the prestigious Winning Poker Network that was founded back in 2001, Americas Cardroom is one of the most popular poker sites around today. There are a bunch of reasons why. First off, the client makes the poker experience a joy. Gameplay is smooth, graphics are engaging and customisable, and there are some unique features to ACR which set it apart from its competitors. For example, in-game stats which track your hands played and session winnings are great for any serious grinders out there. There’s nothing more frustrating than having to wait for a game to start when all you want to do is play. You’ll never have to pause for a hand on the site, since games run 24/7 at all stakes. This is because Americas Cardroom shares its player pool with numerous other sites as well as supporting regular money deposits, so there’s never a shortage of action. The other major plus for the site is the sheer diversity of games available to play. Whether it’s cash-games, tournaments or even jackpot spin & go’s you’re after, they’ve got it. There are even different poker variants going – so if you tire of Hold’em, you can have a go playing the more dynamic, four-card variant known as Omaha. The icing on the cake are the rewards and bonuses on offer. ACR rewards your loyalty, giving you rank points for every real-money table which you play at. These can be redeemed for cold, hard cash – and paid out in crypto if you so wish! Monero depositors are even honoured with a special 200% first-time deposit bonus on amounts up to $1,000, along with freerolls to welcome you to the site. If you’re into poker, there’s not a more well-rounded site than Americas Cardroom. With mobile and table support in addition to the PC client, you can check it out for yourself at the official site. The registration process takes a couple of minutes max and with Monero deposits you can be playing almost straight away! For more information, read our review of the Americas Cardroom Monero poker site. For dice games, there is a beautifully transparent menu to fine-tune your bets to make the perfect roll. Select your exact bet amount, see your win chance percentage and change parameters to increase/decrease your bet size on a winning or losing throw. In addition to all of the virtual games, there is even a live casino which brings the sights and sounds of a brick-and-mortar casino right to you. There’s live roulette, blackjack, baccarat and dozens of other games at a variety of stakes. 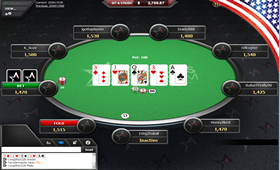 You can even look for games being dealt by your favourite dealer and play against them! FortuneJack are good to their players, offering cashback and bonuses as you climb their Loyalty Ladder. The highest level offers 20% cashback, bitcoin bonuses and even personal prizes tailored to you. 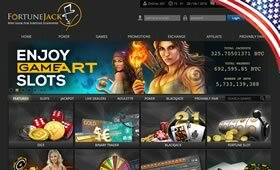 They treat their new customers with equal gratitude, as shown by first-time depositors enjoying a 110% bonus and 250 free spins on amounts up to 1.5 BTC. Sign up for an account at FortuneJack Monero Casino - all you need is a username and valid email address to get started. If you have any questions, support are available 24 hours a day via email at support@fortunejack.com.